First Time Homeowner Searching for Sassy and Fun with Low Overhead? Presenting MOVE-IN READY with Elegant Updates, Neutral Interior Paint, Luxury Plank Flooring, Tall Ceilings, Modern Lighting and Ceiling Fans, Granite Counters, Stainless Appliances, Real-Wood Painted Cabinets, Split Bedrooms, Dedicated Master Bedroom with En-Suite, Refreshed Bathrooms, Charming Enclosed Florida Room with Contemporary Windows and Slider, Fenced and Shady Backyard for Playtime, and a Modestly Sized Shed ideal for the Craftsmanship Enthusiast. 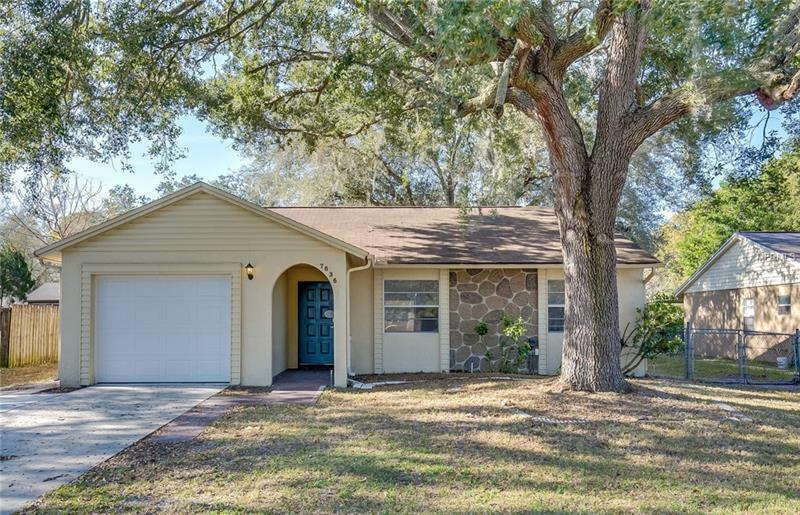 Located in the desirable Seven Springs area and conveniently located near SR-54, US-19, Suncoast, I-75, Tampa Premium Outlet Mall, other shopping, restaurants, Gulf Coast Beaches, and easy commutes to Pinellas/Hillsborough Counties.